currently under construction at Granville Street, Vancouver. The development is scheduled for completion in 2018. The Leveson has a total of 40 units. 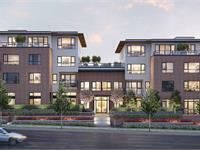 The Leveson is an exquisite collection of refined one, two and three bedroom urban Granville residences. 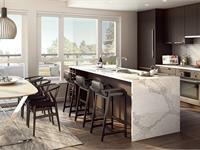 Presented by Coromandel Properties, The Leveson features remarkable contemporary design, flawless detailing and unmatched craftsmanship. 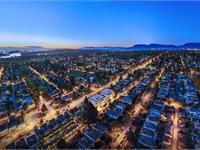 These homes have a timeless quality that is ideally suited to their setting in a well-established neighbourhood in the heart of Vancouver. 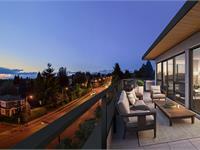 Exclusive blend of elegant contemporary design and quality craftsmanship in Vancouver’s thriving South Granville community. 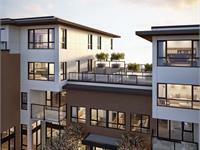 Designed by award-winning Vancouver firm Gateway Architecture, The Leveson radiates modern elegance. Refined exteriors include rich brickwork and sleek cement board paneling, befitting the established yet evolving neighbourhood. 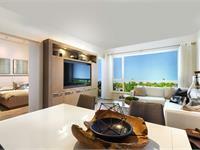 Expansive sun-lit private balconies and patios provide enhanced livability, while the tasteful landscaping and tree-lined streetscape keep you connected to nature. Interiors feature an elegant and inviting West Coast- inspired aesthetic by renowned interior designer Cristina Oberti. High quality and durable Kentwood engineered hardwood floors anchor main living areas in natural warm tones. White Solarfective roller blinds provide privacy and convenient comfort. Expansive windows draw in natural light and frame views of the outdoor landscape. Energy Star Whirlpool front-load washer and dryer with tap-touch controls and Energy efficient air-conditioning are included in all homes. Sleek Caesarstone quartz countertops featuring a stunning waterfall edge. 20” high backsplash in Caesarstone quartz or polished Bianco Pearl marble. Sleek cabinetry in raised panel or modern flat styles. Designer fixtures include a Kohler stainless steel undermount sink and easy-to-use single-control pullout spray faucet. Completed with a Premium Bosch appliance collection. Caesarstone quartz countertops with 8" backsplash in Pure White or Blizzard. Elegant white Kohler undercounter sink with modern faucets and fixtures in polished chrome. Deep set soaker-style bathtub for relaxation and dual-flush Kohler toilet are highlighted with glazed porcelain wall and floor tile. In the master ensuites, opulent details include his- and-hers vanity sinks and glass shower enclosure, with a polished chrome rain shower fixture, porcelain mosaic tile wall and shower niche. Private, secure underground parking garage. Gas connections for outdoor cooking and heating, exclusive to patios. Convenient shared amenity lounge with a spacious patio and children’s play area. Secure bike lockers for residents and guests. Roughed-in home security. Comprehensive Travelers “2-5-10” New Home Warranty with two years for materials, five years for building envelope, and ten years for structural defects. Your inquiry will be delivered to the developer / builder of The Leveson, who will send you more information about this development.